Ze Code System: MLB NL Preview: Who are the teams to bet this season? 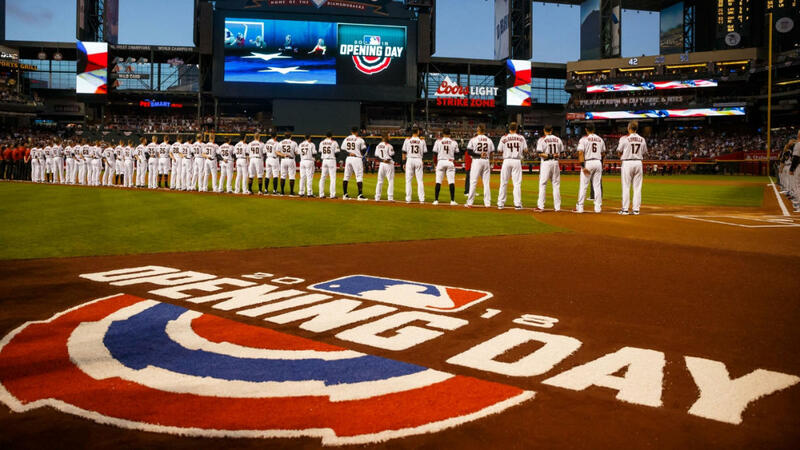 The Major League Baseball season is set to get underway. With players moving around the league via free agency, the teams will have new and in some cases, very improved looks this season. Here’s breakdown of the top teams in each division. Should be one of the toughest divisions in the league. The Phillies likely made the most strides and will contend with the Braves and Nationals for likely two playoff spots in the NL this year. The Phillies signed former and current All-Stars Andrew McCutchen, Jean Segura, JT Realmuto, David Robertson and one of the prizes of the free agency pool, Bryce Harper. Although some question marks remain among the staff, Aaron Nola and Jake Arrieta are very solid and the bullpen should be one of the best in the NL. Atlanta Braves are lead by first baseman Freddie Freeman and the addition of Josh Donaldson. Ronald Acuna Jr and Ozzie Albies should provide good young bats to the lineup. The Braves have four very good starting pitchers that will keep them in most games. They will contend until the end. The Nationals have a dominant starting rotation of Max Scherzer, Stephen Strasburg, Patrick Corbin and Anibal Sanchez. Although they lost the big bat of Harper, youngster Juan Soto, combined with Anthony Rendon, Trea Turner and Victor Robles provide enough offense with the stellar pitching to contend. The entire division has improved, but the Cubs have the top roster in the division and should be the team to beat. However, don’t overlook the St. Louis Cardinals and last year’s division winner, Milwaukee Brewers. The Cubs possess a high scoring attack lead by Javier Baez, Kyle Schwarber and Anthony Rizzo. Kris Bryant and Wilson Contreras had below average seasons and if they can rebound, the Cubs should have one of the most explosive offenses in the NL. On days when the offense is struggling, the Cubs have a strong enough pitching staff to carry them. Jon Lester, Kyle Hendricks, Yu Darvish, Cole Hamels and Jose Quintana post a solid starting five, while closer Brandon Morrow provides stability to the back end. St. Louis has a variety of middle to upper end power threats with Marcell Ozuna, Yadier Molina, Matt Carpenter and Paul Goldschmidt. The offense shouldn’t be a problem. The Cardinals will go as far as the pitching will take them. Mike Mikolas is the ace, followed by Jack Flaherty. They need to produce for an otherwise mediocre rotation. The question in Milwaukee is whether or not they can get enough pitching. A run of the mill rotation lead by Jhoulys Chacin and a solid bullpen took them a long way last year. Jesus Aguilar, Travis Shaw and Christian Yelich lead the attack. One must wonder how much Ryan Braun has left in the tank. At 35-years old, if Braun can turn back the clock a few years, the Brewers will be serious threats in the division. The Dodgers are the favorites, having won the last six division titles. The Rockies are likely to pose the most threat, while the other teams in the division are in building mode and not mentioned further here. Los Angles lost key bats in Matt Kemp, Manny Machado, Yasiel Puig and Yasmani Grandal. However, the return of Justin Turner and Corey Seager from injury and the long ball production of Max Muncy, Joc Pederson and Cody Bellinger gives the Dodgers plenty of offensive ammunition. The pitching staff should have a healthy Hyun-jin Ryu to go along with Clayton Kershaw, Rich Hill, Ross Stripling and Walker Buehler. The talent is there to form one of the top starting five in the league. Closer Kenley Jansen is still one of the better closers in the league. Playing in Colorado is always tough on pitchers, but this year’s Rockies team should have a legitimate duo at the top of the rotation in Kyle Freeland and German Marquez. The remainder of the rotation doesn’t need to be stellar, just solid enough to keep the team in games. Nolan Arenado is a perennial All-Star and has 40 home run, 120 RBI potential. Charlie Blackmon and Trevor Story should also add to the attack as they did in 2018. If the team stays healthy, they have enough offense to remain competitive throughout the season. The top two teams in the division and perhaps in all of MLB are the Boston Red Sox and New York Yankees. Both teams reach 100 wins during the regular season last year. Which team will come on top this season? Boston will be the favorites, but there are questions that need to be answered. Will the back end of the bullpen be solid with Craig Kimbrel very likely to sign elsewhere? Matt Barnes is scheduled to be the closer. He has dominant strikeout stuff, but lack of experience could be an issue. The rotation should be very good, lead by All-Star Chris Sale. Offensively, the starting unit is intact and it’s a scary good group. Mookie Betts and JD Martinez combined to hit 75 home runs, while Xander Bogaerts and Andrew Benintendi are capable of each hitting 20 home runs and knocking in 100. The Yankees should be right on the heels of the Red Sox the entire season. They return an offense that hammered 267 home runs last season and could be even higher this season. Aaron Judge, Giancarlo Stanton, Aaron Hicks, Gaby Sanchez and Didi Gregorious hall have the potential to eclipse 30 home runs. An improved pitching staff with the additions of James Paxton and Adam Ottavino should keep the Yankees in the mix. In what was likely the weakest division in the Major Leagues last season, the Cleveland Indians won by 13 games. The beast of the division over the last three seasons, little indicates that will change this season. The Twins should finish second and have the potential to fight for a wild card spot. 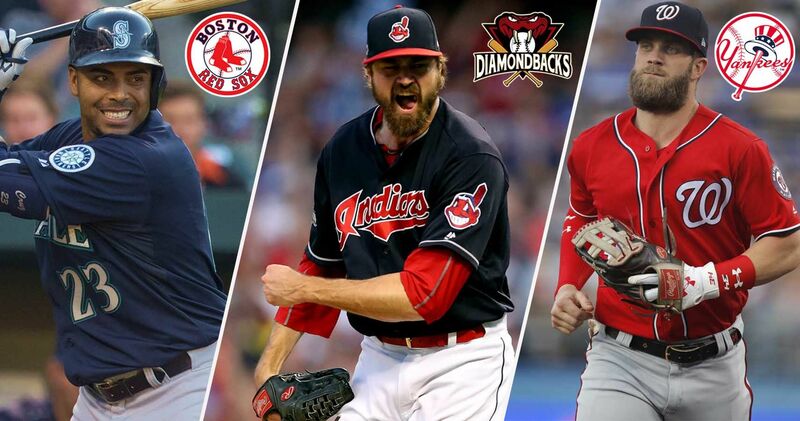 The Indians could have the best starting rotation in the American League. Corey Kluber, Trevor Bauer, Carlos Carrasco and Mike Clevinger are all power pitchers who surpassed the 200 strikeout mark last season. There are questions concerning the bullpen, however closer Brad Hand should be solid. Offensively, they lost Yonder Alonso and Edwin Encarnacion, who combined to hit 55 home runs last seasons, which means they will have to rely even more heavily on Jose Ramirez and Francisco Lindor, who belted a combined 77 home runs last season. The combination of pitching and hitting is solid enough in this poor division. Minnesota was a playoff team in 2017, but finished below .500 last season. They added two 30-plus home run bats in Nelson Cruz and C.J. Cron, who will added with Eddie Rosario should be a very good trio in the middle of the order. Jose Berrios could be in line to be the eventual ace of the staff. He, along with Kyle Gibson and Jake Odorizzi form the top three of the rotation. In the bullpen, Addision Reed is the new closer and although had no saves last season, has 125 for his career. The Twins should contend for a wild card berth. Houston has been the class of the division the last couple seasons. The biggest question heading into this season is the starting rotation. Justin Verlander and Gerit Cole are strong in the front, however the team lost Charlie Morton via free agency, with Dallas Keuchel also waiting for offers from other teams. How well will the likes of Collin McHugh, Josh James and Wade Miley step up ? The Astros should remain powerful at the plate, lead by Jose Altuve and Alex Bergman. A solid lineup throughout, ten players reach double digits in home runs. All told, the Astros scored almost 800 runs and a repeat of that total should be enough to capture another AL West title. Very few people saw the A’s winning nearly 100 games last season, but that is likely not a fluke. Barring some unforeseen circumstances, they will be in the playoff hunt again in 2019. Hitting is the forte for the A’s, scoring 813 runs last season. Khris Davis flirted with 50 home runs, while four others surpassed the 20 home run plateau. On the mound, the team will be without 15-game winner Sean Manaea due to a shoulder injury. Therefore, Paul Blackburn and Daniel Mengden will need to step up and join Marco Estrada and Mike Fiers to form a solid rotation. If they come through, the A’s could again surprise in 2019. The post MLB NL Preview: Who are the teams to bet this season? appeared first on NFL Picks | NHL Picks | Hockey Predictions | Winning Sports Picks | MLB Predictions | NBA picks | MLB picks | Soccer Picks.